Home > Departments > Faculty > Carol D'Lugo Ph.D.
Dr. D'Lugo received a B.A. from Douglas College in 1965, an M.A. from the University of Illinois in 1967, and a Ph.D. from Brown University in 1983. 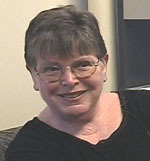 She has been at Clark since 1984 and is affiliated with the programs in Women's Studies and Race and Ethnic Relations. Dr. D'Lugo's special areas of research and teaching include the Mexican and Argentine novel within her general specialty of Latin-American fiction. She recently published a book on the twentieth-century Mexican novel, The Fragmented Novel in Mexico: The Politics of Form . At this time she is exploring how current novels depict the Zapatista uprising in Chiapas, Mexico and the conditions leading to it. Her other teaching interests include courses on translation and on shorter fiction. "Armando Ramírez's Pu or Violación en Polanco : Looking at Race and Revenge in Modern Mexico," in CHASQUI , 30.2 [November, 2001]: 53-64. "Before They Disappear: Reassessing Cultural (De)Formation in Mexico." 68-74 in Acercamientos a Carmen Boullosa, Berlin: Tranvía, 1999. The Fragmented Novel in Mexico: The Politics of Form. University of Texas Press, 1997. "El beso de la mujer araña: Norm and Deviance in the Fiction/as the Fiction." Symposium (Winter 1991): 235-51. "Al filo del agua: Addressing Readership in Mexican Fiction." Hispania 74 (September 1991): 860-67.